The Town of Bath is a small town located in the eastern panhandle of West Virginia and is the County seat of Morgan County. Known also as its post office name, Berkeley Springs, the town has a long and colorful history. Named for its wonderful springs and visited by many for its quaint shops, the Town of Bath is a wonderful place to spend the afternoon or a weekend. 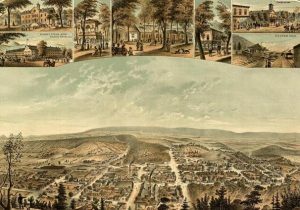 Founded in 1776, the town was one of the first established towns within the state of West Virginia.